LANSING, Mich. — State Sen. Ken Horn recently returned to Saginaw to continue his Hometown Tour series. Horn spent the day with Station One of the Saginaw Fire Department learning how to use the equipment, doing training exercises with the crew, and exploring the daily duties of an on-duty firefighter. Station One houses 51 full-time firefighters with 13 on duty at all times. Before becoming a firefighter, trainees must complete 260 hours of training. After running some drills getting dressed, sliding down the pole from the loft, and other preparation needed in the event of a call, Horn took a brief tour of Station One’s vehicle inventory. 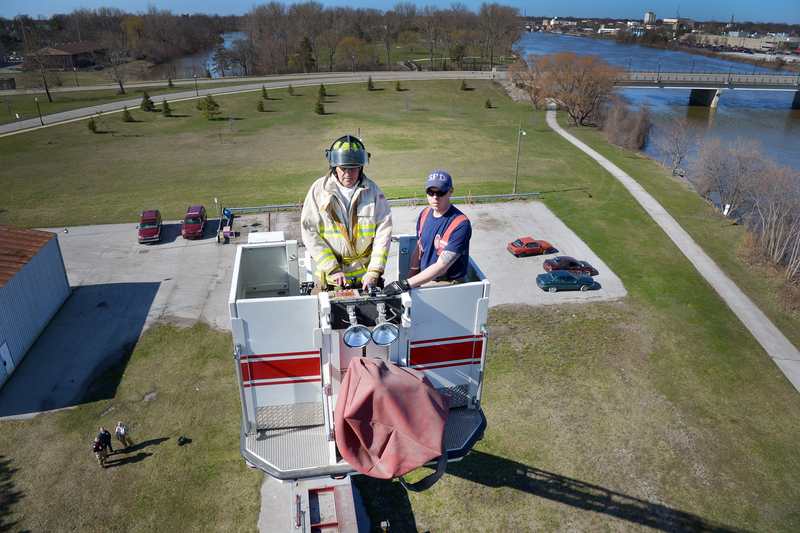 After completing the introduction to the various equipment on site, the team then gathered in the ladder truck and departed for the training grounds. SFD has property within city limits that they use to conduct training exercises such as ladder use, practice working on pitched roofs and vehicle extractions. They also have a large tower they use to practice running hoses and bucket extractions with the ladder truck. Once the training exercises on the tower were completed, Horn then moved to the opposite side of the property for the last leg of the tour: The Jaws of Life. Horn also noted how important it is for the community to know how extremely prepared the firefighters at SFD are. “I think it’s great for the community to see this,” Horn said. “Firefighters are the first responders in many emergency situations, not just fires. They remove people from wrecked cars, people who are locked out of their house, people who are trapped inside something, and the list goes on. Giving the community an inside look as to what these folks do on a daily basis and the constant training and state of readiness that they are in should really inspire confidence among the community. PHOTO 1 CAPTION: State Sen. Ken Horn, R-Frankenmuth, and Lt. Aileen Pettinger (right) round up the gear Horn would be needing for the day’s training. 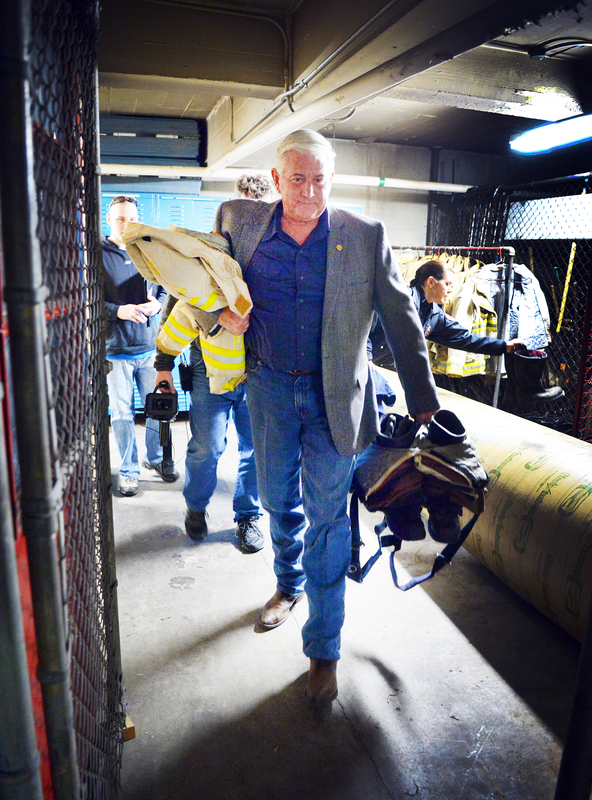 PHOTO 2 CAPTION: State Sen. Ken Horn, R-Frankenmuth, and Engineer Bob Weaver make their way to the top of the training tower in the department’s ladder truck. 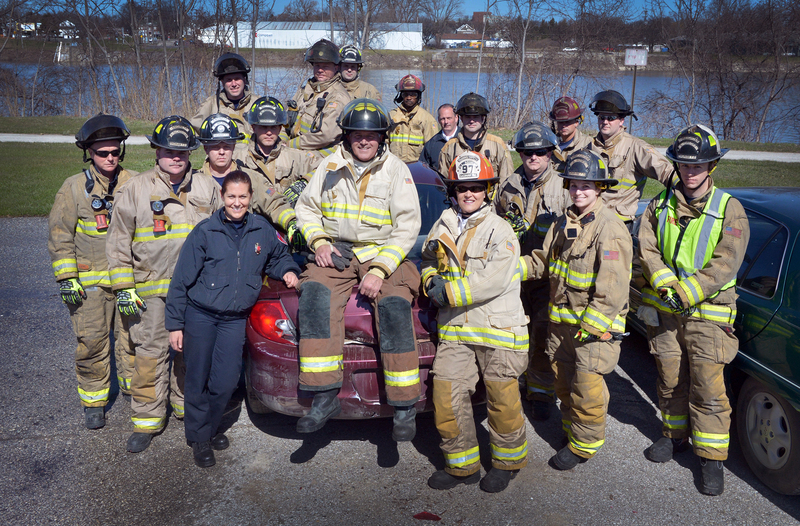 PHOTO 3 CAPTION: State Sen. Ken Horn, R-Frankenmuth, stops for a photo with members of Saginaw Fire Department after training exercises with the Jaws of Life.